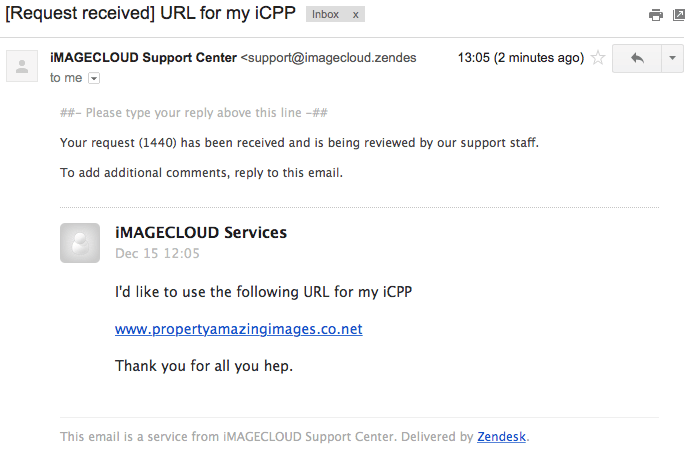 iMAGECLOUD is pleased to announce v4.3.6 of our software solution for property photographers. The following improvements and integration have been designed to improve your business workflow and that of your clients. [NEW] Complete and seamless Integration with Digital Central is now available for all software users including real estate agents within Australia. 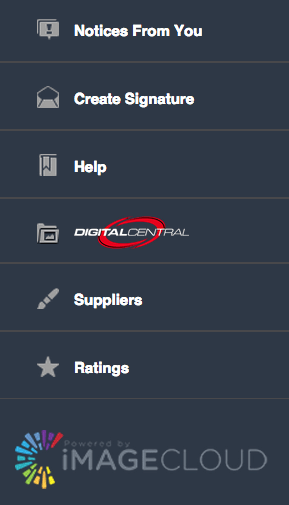 You’ll find a Digital Central button available on the sidebar as seen in the image below. Please keep in mind software function buttons can be arranged by dragging and dropping them on your personal sidebar. [NEW] Suppliers can now pull reports within their portal to effectively manage the turnaround times for your work. [NEW] Suppliers have yet another way to access jobs with the addition of a new download button next to each property for all their staff. This allows iMAGECLOUD suppliers that don’t have integrated FTPs, immediate access to your important work across all user levels thus improving the speed of your workflow. [NEW] Complete iMAGECLOUD integration with Zendesk, the global leader in customer support and software development. No longer a separate username and password, every level of user can access the new Help Center and submit requests within our portal. The support center is not just for tickets but for our newly updated Manual and forthcoming tutorials. [NEW] Listening to the needs of our members, we simplified the ticket system. By sending an email to support@imagecloud.tv from the email address registered in your account, tickets will automatically be created for you. [SUPPORT STAFF] Please welcome Rebecca our new support staff member. Though many of you have already met her, she’ll be your 1st point of contact with tickets through our help center. [IMPROVEMENT] Modified naming: uploaded images formerly named “RAWs” will be named as “iMAGES” system wide. [IMPROVEMENT] Properties can now be transferred to any Agent within your system. Until today this was only possible between between Agencies. [OTHER] Various UX and portal security updates across the portal. [OTHER] Send to Digital Central button on albums is activated again with todays update. [OTHER] iMAGE counts to suppliers within the upload queue has been updated along with a handful of small fixes brought to our attention. Thank you to all our valuable members and certified suppliers for your continued development ideas. Your suggestions and feedback enables the iMAGECLOUD EcoSystem to grow and evolve with the needs of your business. We’re very excited for the upcoming features and partnerships in store for what is sure to be an amazing 2015 for our Members. Witnessing your growth assisted by the iMAGECLOUD software is the driving force behind 24/7 development.